Henrik Kristoffersen (born 2 July 1994) is a Norwegian World Cup alpine ski racer and Olympic medalist. Born in Lørenskog in Akershus county, Kristoffersen specializes in the technical events of slalom and giant slalom. 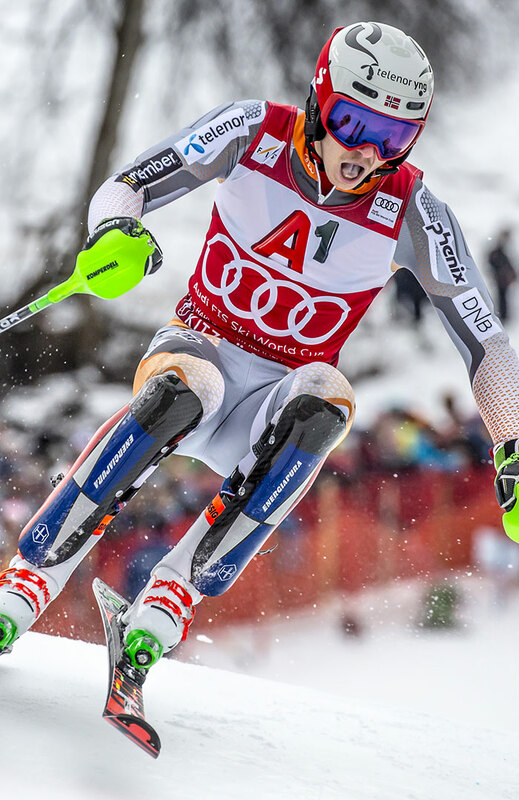 He made his World Cup debut March 2012 in Kranjska Gora, Slovenia, and attained his first podium in November 2013, a third-place finish in slalom at Levi, Finland. At the 2014 Winter Olympics in Sochi, Kristoffersen won the bronze medal in slalom at Rosa Khutor at age 19 to become the youngest male medalist in Olympic alpine skiing history.